This healthy home-style tomato soup will warm your soul. In large saucepan or Dutch oven, cook and stir onion, celery and garlic in oil over medium heat until onion and celery are translucent. Add tomato juice, tomatoes, basil, sugar and 2 cups of water; bring to a boil. Reduce heat and simmer for 10 minutes. Return to boiling. 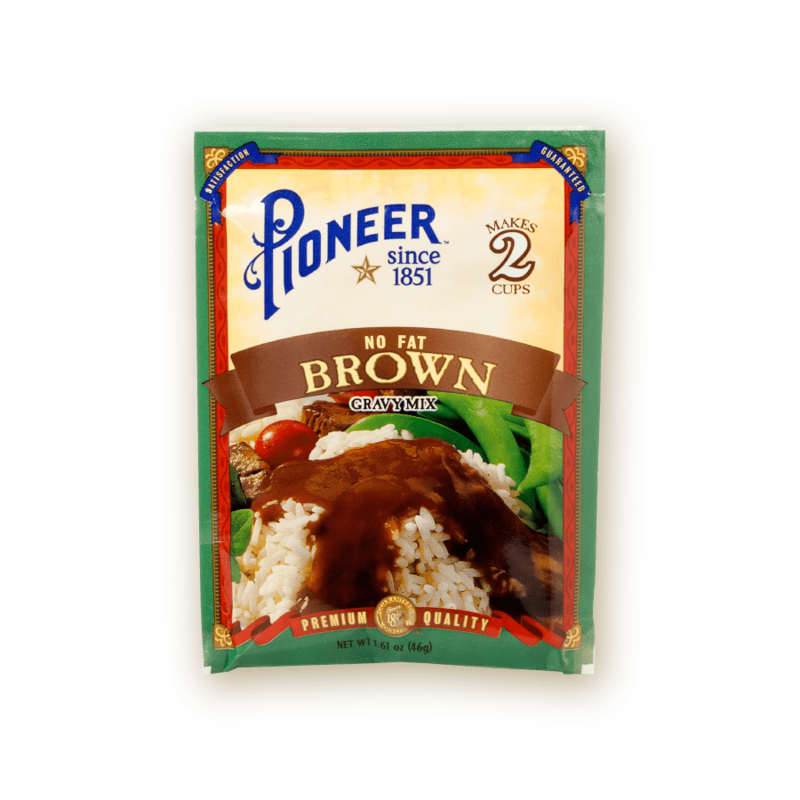 Dissolve Pioneer No-Fat Brown Gravy Mix in 1 cup cool water; stir into boiling mixture until thickened. Simmer for 5 minutes to combine flavors.